One thing is apparent as you listen to the all-out aural assault and focused aggression of Cattle Decapitation’s latest release, The Anthropocene Extinction: the San Diego quartet’s follow-up to the 2012 epic Monolith of Inhumanity is every bit as brutal as its predecessor and delivers all the complexity and variation that is expected from this band. There is a noticeable and deliberate restraint in the overall performances on this latest effort which helps create a more concentrated and cohesive album, and with Dave Otero at the production helm once again, Cattle Decapitation have delivered another surprisingly stunning album. Amidst the technical execution of some the tightest death-grind, blast beats and furious machinegun rapid-fire speed picking found throughout the album, vocalist Travis Ryan is able to effortlessly mix his guttural growls with a higher range of extreme vocals and piercing shrieks, incorporating memorable melodies and vocal harmonies into a meticulously crafted yet merciless onslaught of brutality that Cattle Decapitation have developed over the course of the past two albums – beginning with ‘Monolith’ and developed further with ‘Extinction’. There are few guest appearances on ‘Extinction’ worth mentioning: the album’s second track, “The Prophets of Loss,” features Philip Anselmo adding some spoken word layers to the song, Tristan Shone, a.k.a Author & Punisher created the all-too-brief mechanized soundscape intro to “Plagueborne,” and finally the album’s closer, “Pacific Grim,” features Jürgen Bartsch of Bethlehem offering a German spoken word piece to the track. The lyrical content continues to develop the recurring themes found on previous Cattle Decapitation albums, mainly humanity’s impact on our ecosystem and our race towards extinction. Travis Ryan’s uncompromising and affective delivery of Cattle’s message captivates the listener and makes for some of the most memorable songwriting within the genre. A world not suitable for life? [columns] [column size=”half”] [/column] [column size=”half”] The end result is undoubtedly Cattle Decapitation’s strongest effort to date – a visceral and ferocious attack on the senses that leaves the listener hungry for more from San Diego’s heavy hitters. 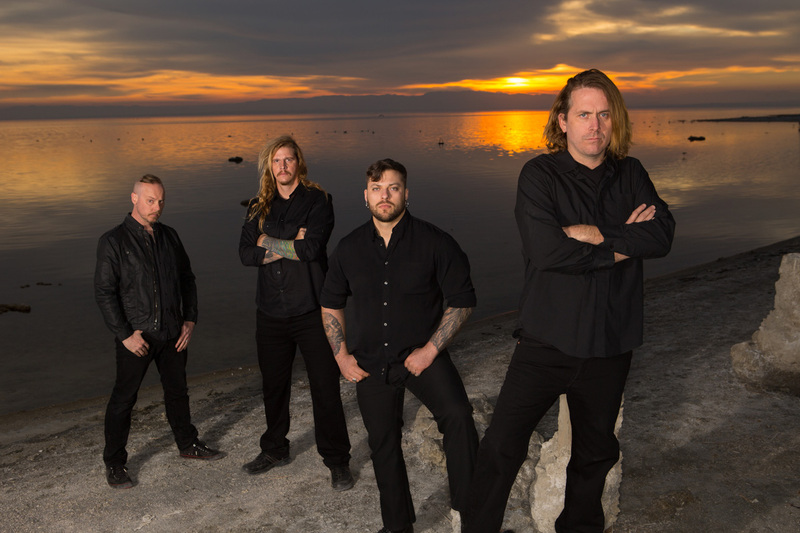 Check out photos of CATTLE DECAPITATION from the Summer Slaughter Tour 2015!